Andrea Riga believes young people with disabilities do not have the same opportunities she had when she was growing up. She was a day student at National Star for three years from 1983 and completed her City and Guilds Foundation Course in Commercial Studies. ‘I have lived a normal life – I have married, divorced. I own my own flat. Thanks to my training at National Star and the opportunities in the work place, I have always had work,’ says Andrea. 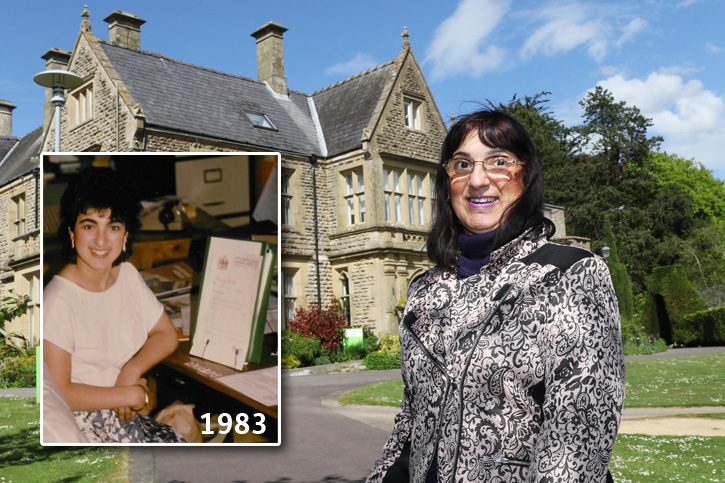 As a teenager, getting a job was what motivated Andrea, who was born and brought up in Cheltenham, and was why she chose to attend National Star – then known as The Star Centre. In her third year Andrea, who has cerebral palsy, became a residential student so that she could develop her independence skills. She moved into the then new Moose Bungalow, which she shared with six other girls. While at National Star Andrea passed her driving test and enjoyed the freedom of the road in her automatic Mini.